Michael Mizrachi was born in Miami, Florida on January 5, 1981. Michael started playing online poker during college, thanks to his older brother who had had a lot of success at online poker. Michael Mizrachi did well, and he soon dropped out of college, scuttling his plans of becoming a doctor. Instead, Michael became a professional poker player, looking for the best poker games around. Michael Mizrachi’s first major success came in January of 2005, when he finished 5th in the World Poker Tour World Poker Open event. In February he won the WPT LA Poker Classic, winning $1,859,909. At the 2005 World Series of Poker, Michael Mizrachi tied a record by making 7 money finishes. Michael won his 2nd WPT title at the 2006 Borgata Winter Poker Open, where he won $1,173,373 and a 2006 Cadillac Escalade. Also, in 2006, Michael Mizrachi won Card Player Magazine’s Player of the Year Award. In 2010, Michael Mizrachi became the main attraction at the WSOP. “The Grinder” made four final tables, including two big ones. 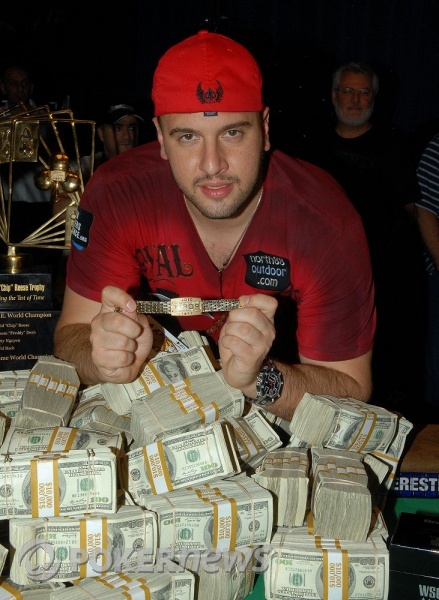 Michael Mizrachi grabbed WSOP bracelet #1 in the 8-game $50,000 Players Championship for a $1,559,046 payday. Then, after final table appearances in the $10K Limit Hold’em and Seven Card Stud Championships, he stormed through the Main Event all the way to the November Nine, busting out in 5th place. After a four month layoff, Mizrachi’s miracle run ended at the hands of the eventual WSOP champ Jonathan Duhamel. The $2,332,992 payday was the largest score of his career and put the Florida native over $11 million in career earnings. Michael Mizrachi’s older brother, Robert, and his twin brother, Eric, are also professional poker players. Michael Mizrachi’s younger brother Daniel is a professional magician, and does not play poker. Michael Mizrachi is married with two children and currently lives in Hollywood, Florida.